Mission Accomplished! 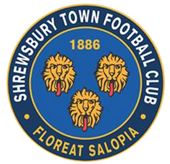 In late 2014, the famous Loggerheads returned to the badge of Shrewsbury Town Football Club. 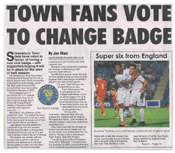 This achievement – inspired by many hundreds of Town fans and the great work of the Supporters’ Parliament – is a historic moment in our club’s history, heritage and identity. The shameful and irrelevant clip art lion has been consigned to the dustbin of history and we once again have a badge which we can wear with pride. 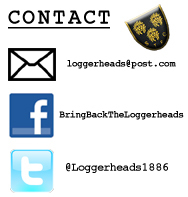 Thank You to everyone who supported the Bring Back The Loggerheads Campaign for the past two and a half years; this victory is for you. 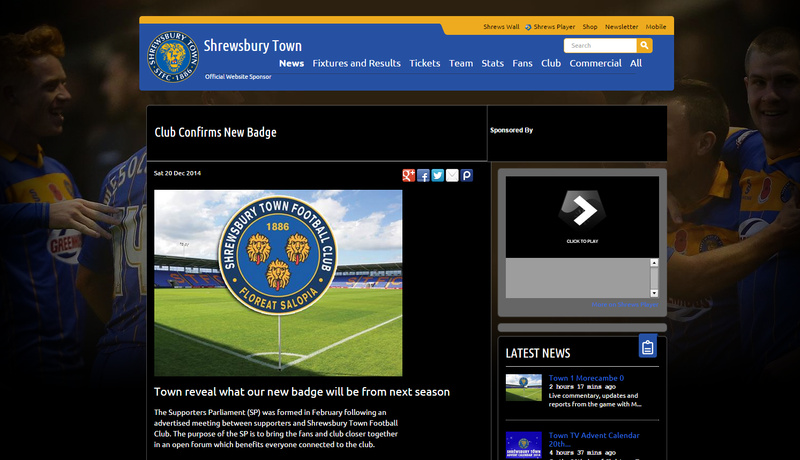 This website will remain online as a reference point and to ensure that Salop’s identity is never again treated as a disposable commodity by club officials. It will also hopefully serve as a reminder to supporters of other clubs about the importance of challenging club apologists. 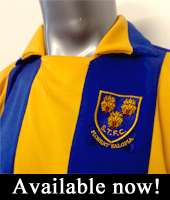 Whether you’re fighting for a club’s name, badge or shirt colour, there will always be a minority who sneer mantras such as ‘the results are all that matter…’ and ‘focus on the players’. We reject this attitude. Keep the faith, never surrender and positive change will come in the end.